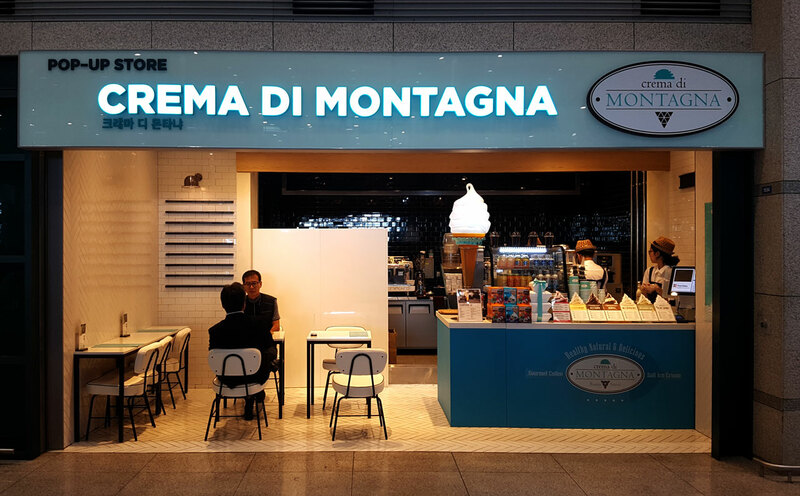 Brand application design for Crema di Montagna Incheon Airport store. Menus, Posters, Signboards, and interior identity were designed. 까다로운 인천공항의 규정과 촉박한 일정 속에 진행된 디자인 업무. 임시로 운영되는 매장의 특성을 고려해서 소량으로 저렴하게 인쇄물을 제작하는 것 또한 중요한 사안이었습니다.